Those are the first spoken words of Hamlet, or more correctly, “The Tragedy of Hamlet, Prince of Denmark” as written by William Shakespeare. In modern English, that’s 13 letters, including punctuation. Under the “infinite monkey theorem” a monkey hitting keys at random on a typewriter keyboard for an infinite amount of time will eventually type a given text, such as the complete works of William Shakespeare. In this case, almost surely means that the event will happen, given enough time. (“eventually” since the allocated time is infinite) In actuality, the likelihood is extremely low, and the amount of time to potentially witness this event is longer than the scientifically accepted age of the universe. Let’s take a look at that first line. Knocking off the punctuation (in other words, cheating), you have 10 characters. The odds of getting one correct letter picked randomly out of 26 possible letters is 1/26, or 0.0385. (3.85%). Ten in a row? 0.0385^10 or (0.0000000000007083803738906810%. And that’s just the first ten letters. This is typical of what you encounter when you try to wrap your head around the likelihood of something happening (or not happening). The usual human recourse is to conclude that it’s simply not possible and go on with more pressing issues. And, in keeping with the tradition of the “ruminarian” series, much thought has gone into this. This particular one was enlightening since I managed to learn something myself. I ran across a tidbit of information that made me sit back and re-examine my preconceived notions about how things occurred. All thanks to Albert. 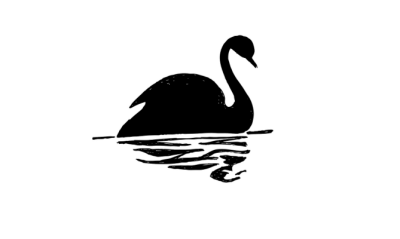 For the longest time, following the 2011 Tohoku earthquake and tsunami and the subsequent Fukishima disaster, I had assumed that the situation was a fitting example of a Black Swan event. I was correct, but more so than I had thought. In preparation for this article, I went back through the historical record of Japanese tsunamis and found that the 5.7 meter tsunami was barely within the 85% range of the size of expected tsunamis. Surely a country that had embraced the methods and ideas of Dr. W. Edwards Deming would have realized that was folly. I learned about Dr. Deming in a quality control class that had to take to get my inspector certification to sign off on jobs done during a shipyard overhaul period. Deming’s focus was on using statistical methods to measure quality and to implement a control cycle to overcome defects. At the time, Japanese auto manufactures were having a problem with the customer base who perceived their products as being substandard. If I had a dollar for every time I heard my dad rail against Japanese nails I would be a rich man. By using Dr Deming’s ideas, Japanese autos have risen to an internationally competitive level of quality. So, I asked the question: “ Is is normal for industry to only allow for 85% ? I would have thought that they would have at least gone for the 90% range. (3.7906 to 5.8197 meters. )” Albert’s response made my jaw drop. That they relied on a singular event (though in a similar geologic setting) to guide the design criteria speaks volumes to the scale of the Black Swan event that they received. According to my calculations, the 2011 event was on the order of a 3.2 sigma event. ( 0.0687% likely event ). About the same odds of flipping a fair coin getting the same side four times in a row. Though quite rare, it is not that uncommon. At the risk of succumbing to the gamblers fallacy, it will happen… eventually. (but infinite time is pretty long, you may not live to see it) reportedly there was an event at Monte Carlo involving a roulette wheel that had a long spat of coming up black. People that bet against it lost a lot of money. Remember the other truism in life, the house always wins. (That’s their job). As some of you know. I have a penchant for geological things off the beaten path. Not too long ago, TG McCoy noted an issue with Coos Bay. Mainly due to the tsunami threat. Coos Bay is on the coast, and is served by bridges Some of them not quite as robust as one would like if it has to be relied upon to evacuate pending an arriving tsunami. I’m not going to diminish the threat, many bridges and structures begin to suffer significant damage following ground accelerations above 0.4 g. Where the greatest danger is at is in the lower portions of the structure as the fitting have to deal with the sheer forces from the elevated mass. I’m not a structural engineer, but a large cantilever steel structure seems to be asking for trouble. Wikimedia Commons “CondeMcCulloughMemorialBridge” by Photo taken by User:Cacophony on December 28th, 2005. This particular bridge is oriented broadside to any expected shock wave arriving from off the coast. The lateral stresses are going to be phenomenal. Many alarmists bleat incessantly about a potential Cascadia Subduction zone quake, stating that it’s “over due.” Well, I am not overly alarmed about it. True, the geological set-up for Cascadia is like the other “Megathrust” conditions along subduction zones, but the subducting oceanic plate for Cascadia is nowhere near the size of the Pacific plate or Nazca plate in south America. This is due to an event that is believed to have occurred about 20 million years ago. Part of the Farallon plate detached. Coincidental to this, the Columbia Flood Basalts occurred, and the Yellowstone HotSpot began it’s long slow trek up the Snake River valley. (forming that valley along the way). All that remains of the Farallon are the three microplates of the Pacific Northwest, and the Cocos and Rivera microplates off the coast of MesoAmerica. What this boils down to is that the amount of slab pull affecting the subduction zone is likely less at Cascadia than in Japan. Notice the maximum depth of the quakes appearing in the zone for Cascadia and compare them to the depth of the quakes in a similar area of the subduction zone off of Japan. The two band of horizontal lines are artifacts of the instrumentation and not an overt geologic feature as far as I know. At this point, while eliciting comments and advice from some of our other authors, Henrik noted that it was possible to infer the likelihood of an event based on inverting the probability of non-occurrence. A quite valid way of looking at it, but the problem that I now had was that my data was based on the likely size of a tsunami and not the probability of an event. To explore this, you run into a problem with technological skew. As new equipment is rolled out and better detection networks are set-up, the number of detections tends to go up. Here you can see that the seismic network covering the Cascadia “suffered” an upgrade in early 2013. Data is from USGS for 1960 to 2013. Now, looking at the period with the highest quantity of quakes (post 2013 to present) when the detection network is as good as the equipment allows, a Mag 8.0 event has a liklihood of 0.0000000012695% over a 2 year period. A Mag 9.0? 0.0000000000002% over the same period. (2 years). Since this is a Ruminarian article, I’ll leave it to the readers to discuss the ramifications of that. One important fact to remember though, is that this is based off of quake magnitude, which is a logarithmic scale. A more accurate method would be to find the actual energy release and to work off of those figures. The USGS data presents the quakes in Mw, Md, and Mwr scales, each is slightly different depending on the methods of determination. This means that there is no direct simple formula to derive the actual energy release. Several months ago, while out and about, I stopped for a burger and fries in Defuniak Springs. I had some time to kill, so I took out a ruler and measured the length of every single fry in my order. That evening when I got home, I plotted out a histogram of the data. What I got clearly had a bell curve shape, but it had two distinct peaks. This is a good indication that the length of the fries did not follow a Gaussian (aka Normal) distribution. Since the Gaussian distribution originated as a way of refining measurements and eliminating human error, it was a bit odd. Thinking about it, it occurred to me, the length and the width of the potato had an influence on the size of any fries that were cut from it. My dual peaked histogram was just a manifestation of the length and width of the source potatoes. 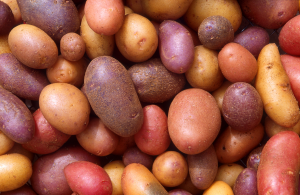 (There probably would have been a third peak with enough measurements and rectangular potatoes) The point is, that the data of interest doesn’t always follow a purely Gaussian Distribution and that other curves may better represent the data. (if at all). If you ever need to show this in a school experiment, it will turn out great. It’s almost guaranteed you’ll find a dual peak in your histogram. Since this article is partly me yammering, and part informal discussion occurring elsewhere, a comment from someone better versed in numerical analysis than I. The probability analysis assumes a Gaussian distribution of events. That is probably ok for the small event but big ones are cascade, where one failure causes a failure in the material next to is. Like metal fatigue can suddenly cause catastrophic failure, even though you wouldn’t have expected that from an analysis of the number of microcracks over time. Another way of looking at it: M8-8,5 in this are happen every ~300 years. M9 perhaps every 1000 years. That gives a uniform probability of 0.3% per year for the ‘smaller’ and 0.1% for the larger events. In practice, probabilities are not uniform in time, they increase with time since last event, up to the point where it is so much overdue that it becomes more likely that another adjustment has taken place. The last M9-ish was not that long ago (250 years) and the chance of a repeat at the current time must be very low. But the time would be about ripe for an M8.5, and the probability of that must be closer to ~1% per year. If you design for once-in-a-century events (also called penny–pinching), this must be on the radar. Can your bridge withstand it? Which is a vexing question. Referring to table 18 from “New Madrid Seismic Zone Catastrophic Earthquake Response Planning Project”, Continuous Multi-Span Truss bridges begin to begin to experience moderate damage at 0.31 peak ground acceleration (PGA) and begin to suffer complete damage at around 0.5 PGA. 0.5 PGA level shaking occurs just above MMI-VIII, so if the more likely Mag 8.3 occurs within 50 km of the bridge, I would say it is quite likely to completely fail. It is worth noting that the recent Mag 8.3 along the Nazca trench occurred about 6 km offshore in 139 meters of water. Though not a basin-wide event, it did produce significant local tsunamis. As for the bridge, the hazard has not gone un-noticed. Though I am unsure what can be done about the sheer mass of the tonnes of steel that are perched atop of the main columns. That is quite a bit of material with a high moment of inertia that isn’t going to like being pushed around by the shock waves of a quake… especially from a lateral angle. I reiterate, this is a Ruminarian article, you are invited to freely discuss it among yourselves. I have already learned something just by writing it, yet there is more to be learned. (and if Jack@Finland comes along and beats me up over it, that will work just fine, I learned from our last exchange as well) Some of you are better versed in the engineering aspects of this than I am. I do know that the bridge in question has/is undergoing seismic upgrades. Will they be sufficient to overcome the stresses that could very well happen? Time will tell. 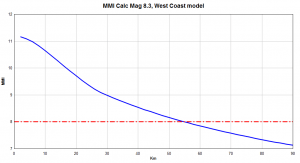 For the eye candy aspect of it, here is a numerical simulation by the US NWS Pacific Tsunami Warning Center (PTWC) for the 1700 CE Est Mag 9.2 tsunami generated by a full margin rupture. It is also known as the “Ghost/Orphan Tsunami” in Japanese Literature. Which draws heavily upon Analytical Seismic Fragility Curves for Typical Bridges in the Central and Southeastern United States Nielson and DesRoches (2007) for the bridge analysis. The BBC apologized after admitting that footage from one of its nature programs had been digitally altered to make a volcanic eruption appear more impressive. 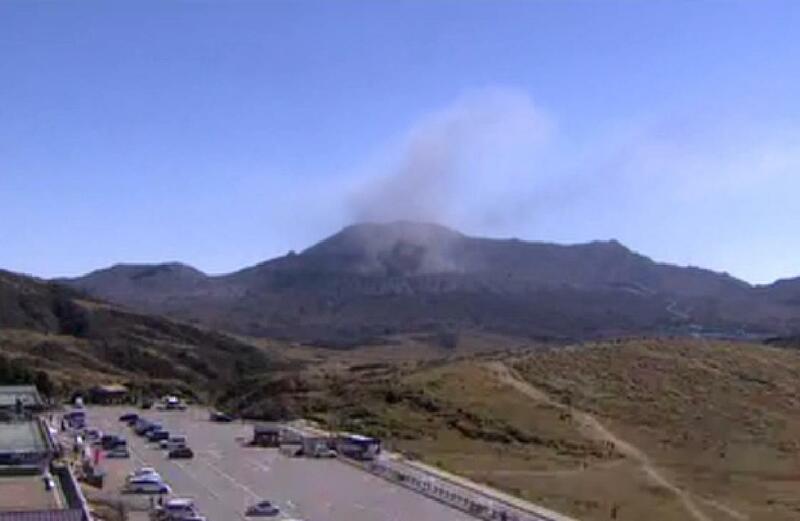 No idea why the BBC enhanced the video – the video didn’t need it and there are good volcanic lightning videos around. of a Cascadia quake in the area of Port Orford south to Gold Beach. If any one has any input on this idea,fee free to post it..
the northern edge of the Blue Mountains down into the Columbia Basin. Kroger’s) the OWL coughed up a 1.0 hairball -didn’t feel it, but quakes were a subject my wife and I had discussed driving from La Grande.. Thank you GeoLurking for a very interesting post! Thank you Lurking! Your ruminations are always a joy to read. Probably not late at night 🙂 You posted at 9:32, which is probably 18:32 Japanese time (if this blog is on UTC). Thanks Geo! Now what to about that bridge.. it is so old it may be beyond hope. But you don’t want to lose the heritage value. Best would be to build another bridge some distance away which can handle emergency traffic in case of failure of the main bridge. I lay awake last night thinking about this. In my opinion, that bridge is as much as gone. They are remediating the bridge and adding seismic upgrades, but I fear all that they may do is strengthen the concrete support columns to avoid spalling and shear failure like observed in the Loma Prieta quake. I don’t even know if base isolation or counter balance masses are even possible on a large bridge such as this. The orientation of the bridge means that it will take the full brunt of the shockwave directly from the sides… it’s weakest dimension for that sort of shock. Wikipedia does touch on some of the ideas, but I have no idea what is feasible. Like the more nasty volcanic eruptions and some Hurricanes, the best solution may be to just not be there when it happens. Caveat: I have a strong bias against people who intentionally live in high hazard areas and then rely on insurance companies to bail them out when everything they own is destroyed. Everybody else gets to pay for their folly even though knew full well what could happen to their property and put themselves in harms way. Personally, I think they are parasitic leaches on society. You mean the insurance companies are the leaches right? The insurance companies are just the middle man trying to make a buck off of the opportunists, and using them as a reason to siphon money out of everybody. It’s done in California, it’s done here in Florida. When stuff goes bad, it does so in a very costly manner. An insurance company has to have the reserves to meet their end of the contract. Millions of dollars are spent each year just studying the actuarial math behind these events just so that a carrier can optimize their returns and liabilities. The one part about it that sort of bothers me, is that the dude who came up with the Gaussian Cupola for the Credit Default Swap market… has now hired on with AIG, one of the worlds largest insurance carriers. Since that Cupola was based off of survival functions, it sort of fits his skill set. Caveat: I am invested in an insurance carrier, so I am a bit biased in their direction. I don’t make a lot from it, but it’s enough to keep me holding onto their stock. Anybody else have a good chortle at this? There are quite a few larger bays off the Oregon coast – do any of these bays have similar bridges / limited access or entry? I know from being on the Oregon coast once, that it is often difficult to access with mountains and large hills that come right down to the sea. All the bays and inlets have similar bridges. The Astoria bridge is across the Columbia mouth..
Activity at Aso continues. Today there have been almost constant, small phreatic explosions, mostly steam but a few containing (old) ash, The largest I caught was at 02:17 UT but the one at 01:43 was much more typical, barely reaching over the crater rim. As night fell over Japan (about 09:30 UT), activity was continuing. WOW, Aso is a huge caldera in a populated area. Could you imagine what the media would do if Yellowstone had one phreatic blast like these ? They would go Ape S%!+ ( Bonkers). This is very much worth keeping a close eye on. Aso has been having small puffs for years however, so to them, it’s simply the status quo much like the massive amounts of hydrothermal activity are the status quo at Yellowstone. People tend to drive themselves up a wall when the status quo changes, even if the current status quo has only been happening for a geologically short period of time. Swarm just west of Yellowstone. Does this look magmatic? How on earth can we tell without seeing the drums? Its hard to tell without much extra information. These quakes could be miles appart from eachother for all we know. But comparing it to the graph below. 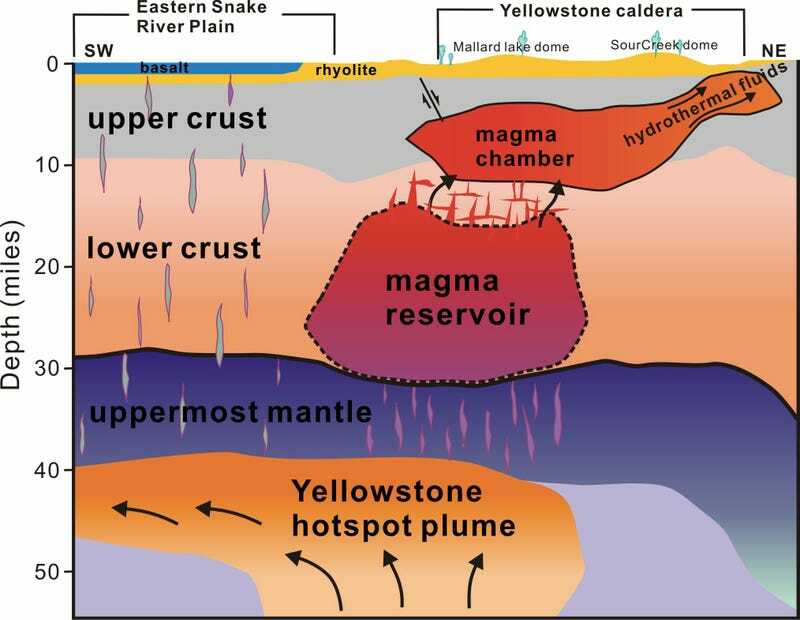 Those quakes take roughly place in the interaction zone between the upper magma chamber and the reservoir below that. 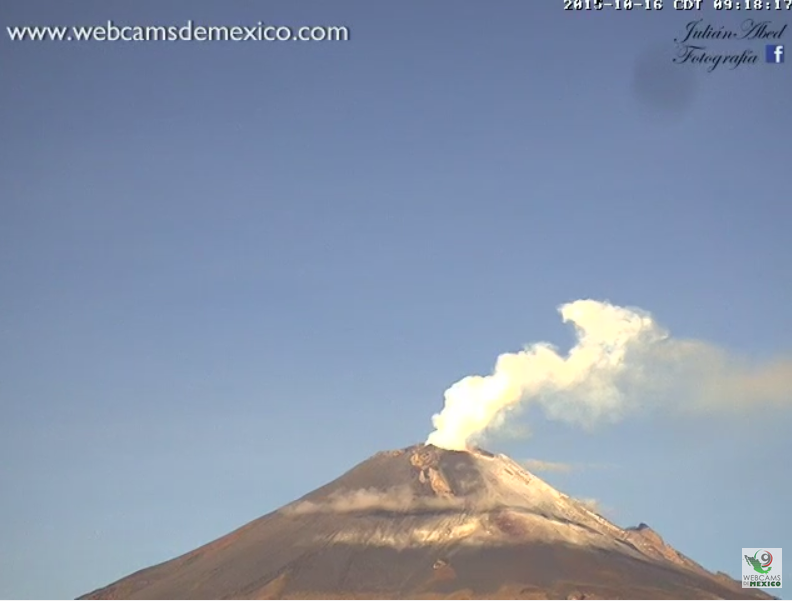 Whish is a rather busy zone for the volcano and pretty normal activity for a restless Caldera i think. Hmm. Wife is under the weather…. a bit sick. For some odd reason, she instinctively made stew. It’s an easy fix and it sits really well when the temperature drops a bit. Not wishing to deal with her making a pan of cornbread, I beat her to it and made cornbread fritters. Though she can make cornbread, it’s not in her instinct. Either it turns out great, or she spends the rest of the evening cursing the skillet. Proper cornbread is made in a cast iron skillet and it’s best to put a splash of dry cornmeal in the bottom of the skillet before you add the batter. This cuts down on it not releasing from the skillet after it’s cooked. Anyway, in the last of my batter, I added diced jalapeños and made my grandson and myself quite happy, both he and I enjoy the flavor of Jalapeño corn fritters. Though ideally suited to accompany fried fish, they go well with a stew. I did cheat a bit with my batter and added a bit of cornstarch to assist with their expansion while frying. She does a “rubs” soup. Essentially, it’s sort of a potato soup with dumplings. Goes great with a quarter sectioned raw onions. I tend to add black pepper or cayenne to my bowl. It’s easy to keep down if you have a weak stomach and provides a pretty decent bit of nutrition. Argh Fishermen’s Friends! Tried those when a youngster and nearly burnt my throat out. Never again! Like a volcano going off in the back of your neck. Tamale Pie cooked in a dutch oven isn’t bad either. “Lynam has been released from Escambia County Jail on a $1,000 bond. He had a 2013 arrest in Santa Rosa County for assault on an officer and interfering with a law enforcement officer using violence. And that’s without the benefit of a ‘large eruption’. But I do like the giggle translate from Japanese. Pure poetry? Hi Edward, I have visited and taken the very steep trail to the bottom of Kawah Ijen. The trail is the same one used by workers mining sulfur. Apparently at least one tourist has fallen to death from this trail which has quite a bit of loose material that can make you slip. On the way to the crater, a young French couple offered me a bandanna that you could moisten with water to protect you from the fumes. The fumes are largely sulfur dioxide, SO2, but contains some hydrogen fluoride gas, HF, too. Between the toxicity of these gases and perhaps the exertion of carrying 80 kg baskets of solid sulfur on the ends of a bamboo pole these workers have a life span of not much greater than 30 years we were told. The bandanna was much welcome as the fumes were at times rather dense depending on wind direction which was always variable. The workers do not have much option of moving out of the way of the fumes when the wind shifts as they are right next to the vent where the liquid sulfur (which soon solidifies) is located. We were there about 2008 and not aware of the blue flames. I would not particularly want to go down that trail at night. The workers did say that some times “black” sulfur would appear and that it was very dangerous as it could catch fire spontaneously. I am a chemist and do not know what black sulfur is, it is not listed as an allotrope. The lake is fiendishly acidic (sulfuric acid) with a pH of 0.5. A French documentarian,Nicolas Hulot, went out on the lake in a rubber raft and took samples of lake water. If he had gone out in an aluminium boat the boat would have rapidly dissolved and given off a plume of hydrogen gas! The workers said that solid sulfur is also deposited in the lake (I have not verified this) and the belief is that when the lake fills with sulfur the volcano will erupt again! Good story, at least. For the record, the sulfur that is mined is used in a bleaching process in sugar production according to people in the area. People in the area were very impressed with Nicolas Hulot and seemed to fondly remember him. I am sure the team paid well to get help with taking supplies to the lake and perhaps other areas. Returning to the trail head, I found the French couple talking with my wife and returned the bandanna to them. I love your little tales! Thanks for sharing. Very, but also rather heavy on the scientific side. It’s the kind of article you have to read through several times I think. Thank you for posting the link Ian! Thank you Martha, I am sharing these space photos with friends. Aaaand… …new post is up!